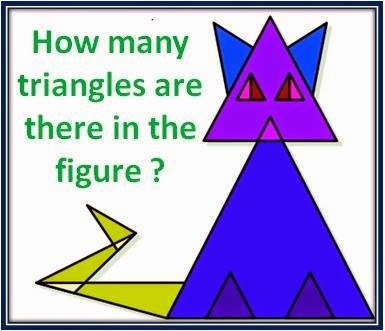 Following Picture Puzzle contains Cat and here one has to find number of triangles in this picture. This cat is colored to make it better looking. However be careful in counting the number of triangles as sometimes one can get confused because of different colors and may miss the overlapping triangles. Do put your comments on how many triangles you can find in this CAT? How many triangles you can find in this CAT?